Down in the ravine the river Esk is flowing away from the viewer, despite the way it looks. Green Crag is up on the right, with the path at its most anxiety-provoking point above the gap between the trees. The path on the left bank here provides no such problems. 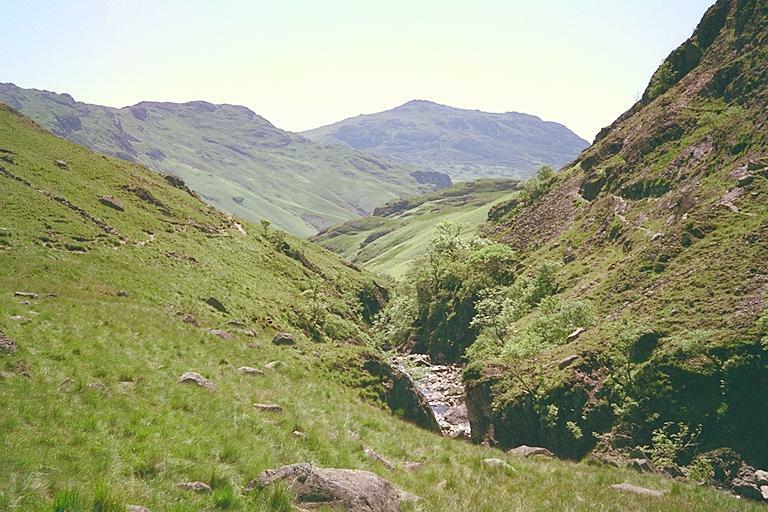 Harter Fell, looking like a minature Scafell Pike, lies in the background. Smaller version of this picture.